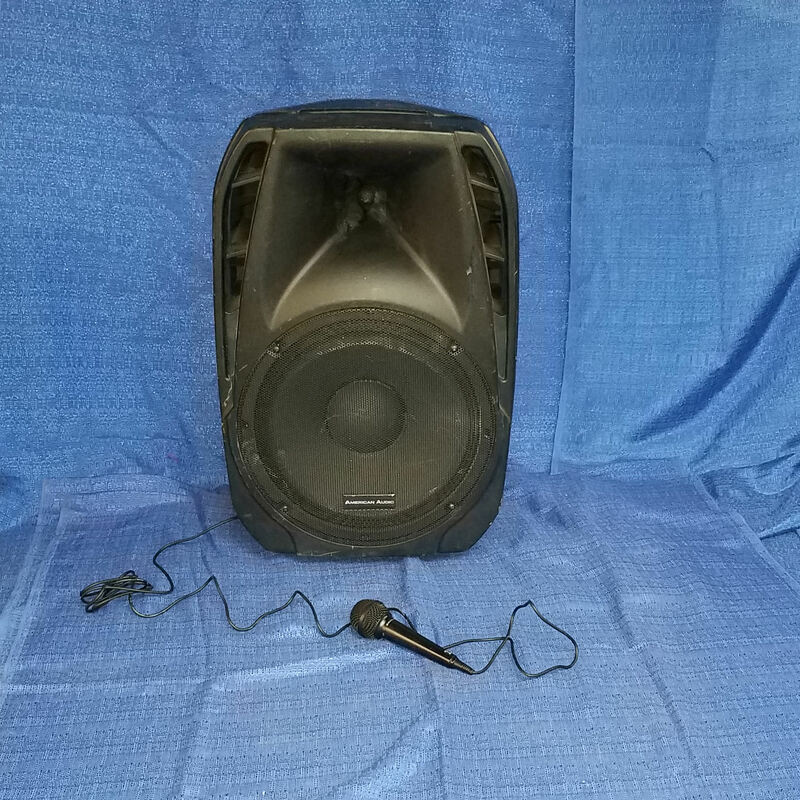 This small PA system is great for bingo calling, making announcements at a small company picnic, family reunion, corporate meeting, or whatever your amplified sound needs are. 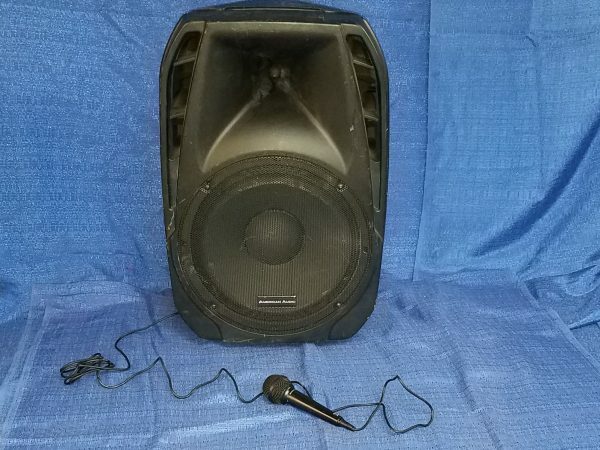 This system comes complete with a self-amplified power speaker, wired microphone, and an input cable for you to connect an auxiliary source such as an iPad or phone if you’d like to amplify some music or other recordings. Need the sound to spread a bit further? We can easily add additional speakers to fit your needs.